The Golden Lion01633 880312work Restaurant - PubThe Golden Lion is a highly rated and reviewed bar and restaurant situated in the heart of Magor Square. It boasts a range of brand new menus including a specific Vegan menu, cooked by highly trained chef, Remo Donatoni. Priding itself on sourcing and using local ingredients the food promises to have a superb taste with guaranteed quality. A key example of locally sourced ingredients would be the Usk Valley Provenance Steaks - no more than 20 minutes away! 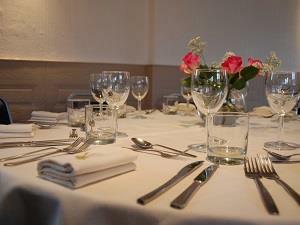 The Golden Lion is also a superb venue for conferences, weddings and parties alike. Buffets both hot and cold are available but prior notice is needed. To find out more about the venue and the menus available just visit the website or call 01633 880312. You can also find out more about the Golden Lion by following them on Facebook, Twitter and Instagram. The Golden Lion is a highly rated and reviewed bar and restaurant situated in the heart of Magor Square. It boasts a range of brand new menus including a specific Vegan menu, cooked by highly trained chef, Remo Donatoni.